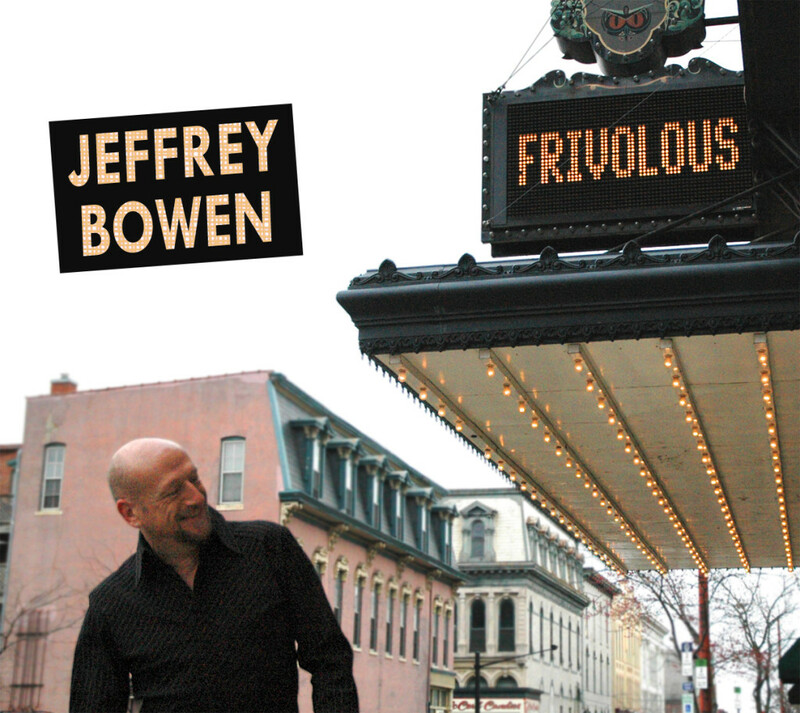 “Frivolous” is the first CD project by Jeffrey Bowen. The whole concept is about staying upbeat and positive – to have fun with life!! All tracks on the CD are based on life experiences, the desire to change for the better and respecting the past and moving forward to a better future. The most recent video released from “Frivolous” is “Bertha From Burkesville”, released May 5th, 2018. The first video from “Frivolous” was for “It Might As Well Be Me” and was released April 4th, 2016. To order your CD by mail, please send a check for $12.00 (which includes shipping) and your mailing address. For a CD Baby Download Card, please send a check for $10.00 and your mailing address. Please allow 10 to 14 days for delivery. Thank you for your order! Little By Little – While staying with my brother and his wife (Steve & Wanda) on their farm, there was an enormous amount of work to be done in the many gardens for their produce stand. Wanda and I would be motivating each other with Wanda saying “Little by little”… and I’d reply “and a little bit more”! Wanda is credited for the inspiration of this song. Change In the Making – Originally written for the “Cavaliers” Show Choir of Crete-Monee High School in Illinois, this song was redeveloped for “Frivolous”. The concept of the song pretty much stated the transitions that were happening in life. A Lot More Less Of You – While judging at a show choir competition at Hanover High School (Mechanicsville, VA), Director Jamie Barrack was making reference to a situation by saying “I need a lot more less of that… just… more less! !” Mom (Doris Lintner) was there as well and we both talked about how clever that phrase was and it would make a great song. Unbeknownst to each other, we both went home and wrote songs based on that phrase – and they were almost verbatim!!! Mom is credited for the second verse. Perfect This Way – This song was crafted over several years but finished recently. We can dream about money and success; however, perfect for you can mean your own little house by a field in the Midwest. Bertha From Burkesville – Bertha Abston was my paternal grandmother’s sister-in-law. She and John had tobacco fields near Burkesville, KY. She was a dear woman who could have breakfast for 10 ready as the sun came up, work the fields all day, followed by a dinner “buffet” that would rival any public buffet – all with love in her heart and never missing a beat. What Are You Doing To Me – This tune got in my head and would NOT leave me alone!! Like this project, it’s all about fun! When the Summer’s Over – This was written in the spring and summer of 2012 when my dad was going through his illness. The obvious message is no matter how much we want to hang on to the past, we still have to move on with life.